1) Purchase flame resistant costumes. Look for the label “Flame Resistant.” Although this does not mean that the item will not catch fire, it does indicate that the item should resist burning. 2) Make sure that costumes are visible, particularly outside in the dark. Purchase costumes that are light colored or bright enough to be visible by motorists. In addition, decorate the costume with reflective stickers or reflective tape. 3) Children should wear comfortable, well-fitting shoes. Likewise, costumes should fit well, be comfortable, and be short enough to prevent children from tripping and falling. Falls are the leading cause of unintentional injuries on Halloween. 4) Swords, knives, and similar accessories should be soft and flexible. 5) Weapons should be clearly identifiable as being a toy. 6) Any masks should be checked to ensure that your child can breathe and see clearly. Consider applying a “natural” mask of cosmetics instead. 7) Always test make-up first to make sure that it will not irritate your child’s skin. Avoid applying make-up close to eyes. Remove any make-up before bed. 1) Young children should be accompanied by an adult. 2) Walk on sidewalks or the edge of the road – not out in the street. 3) Avoid walking across lawns where holes and other unseen hazards can cause injury. 4) To easily see and be seen, children and adults should carry flashlights. Bring extra batteries, too. 5) Children should only approach homes where the residents are known and expecting Halloween visitors. Illuminated lights, decorations, and Jack-O-Lanterns are a good sign. 6) Children should never enter a home unless they are accompanied by a trusted adult. 7) Never walk near lit candles. 9) Attach a slip of paper with your child’s name, address and phone number inside their costume in case they get separated from the group. 1) Tell your child not to eat any treats until they return home. 2) Insist that all treats be examined by an adult for signs of tampering before anything is eaten. 3) When in doubt, throw it out. 4) Encourage your child to eat dinner before they trick or treat. Hopefully, following these tips will make Halloween fun, healthy and safe for everyone in your family. About Jason W. Konvicka: Jason W. Konvicka is an attorney experienced in handling wrongful death cases. 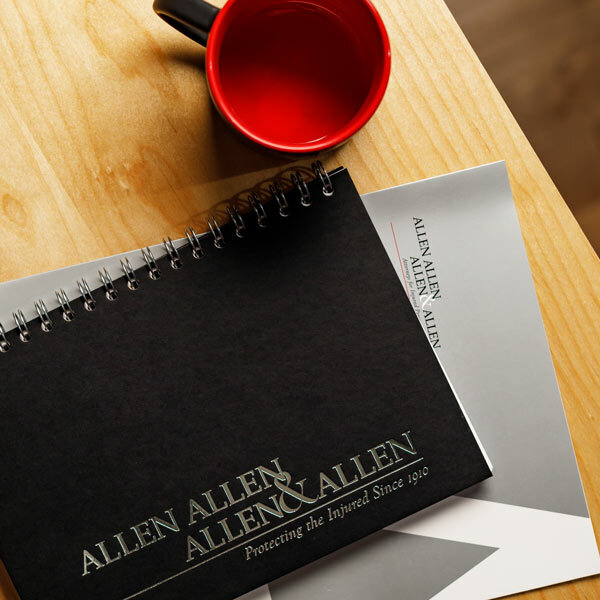 He is a member of the Allen, Allen, Allen & Allen medical malpractice team. He also represents persons severely injured through the use of defective drugs and medical devices. Jason has achieved impressive verdicts and settlements for clients in wrongful death, traumatic brain injury, and tractor trailer accident cases. Mr. Konvicka is AV rated by Martindale-Hubble and is listed in Best Lawyers in America. He is a Certified Civil Trial Advocate by the National Board of Trial Advocacy and he has successfully argued before the Virginia Supreme Court and the Fourth Circuit Court of Appeals.